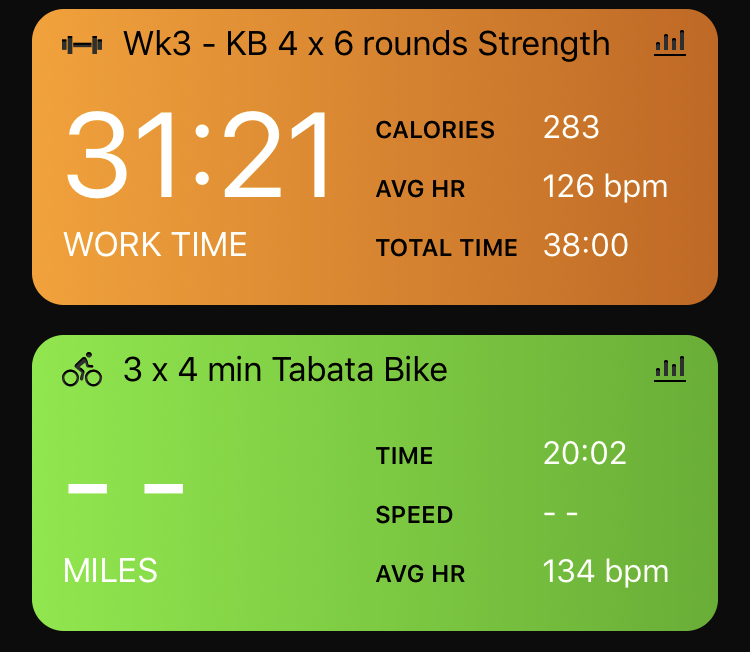 I was aiming to do 3 Strength & bike workouts a week, but with work full time, I’m finding I can do 2 Strength & bike sessions and about 3 runs to make sure I get enough rest. 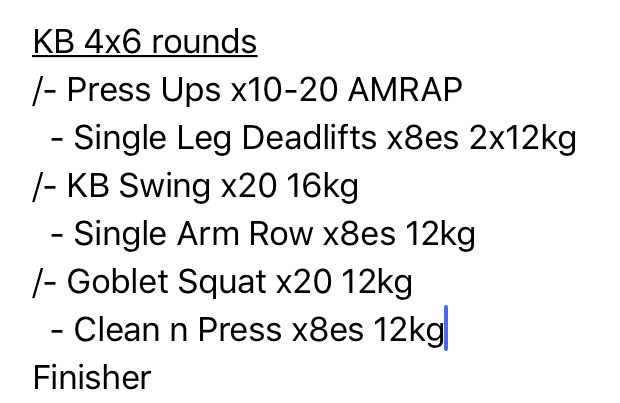 (Here’s one of my workouts). 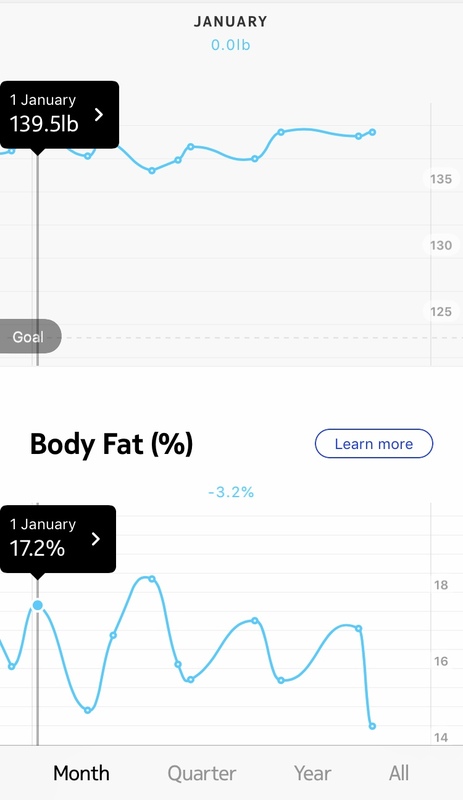 I’ve maintained my weight exactly as it was on the 1st of January, (a smidgen under 10 stone or just over 63kg)… but the training I’ve done has given me some good results body composition wise. In 4 weeks, I’ve reduced my body fat by 4.5 lbs, and I’ve increased my lean body mass by the same amount. I’m not sure what the graph is doing, but the overall trend for my body fat is down, and muscle mass is up. And I must be eating enough to maintain and not lose or gain any more weight. 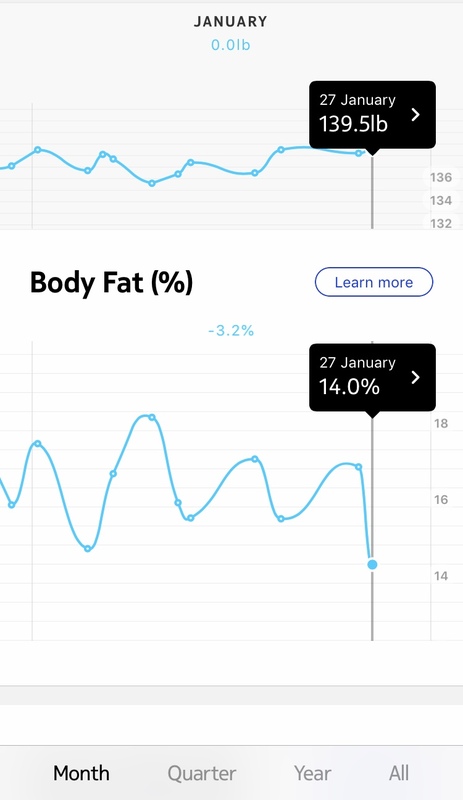 My goal is to keep dropping about 1% body fat until May, to aim to get to 12% or below on my Withings scales. So how have I made the progress in the last month? 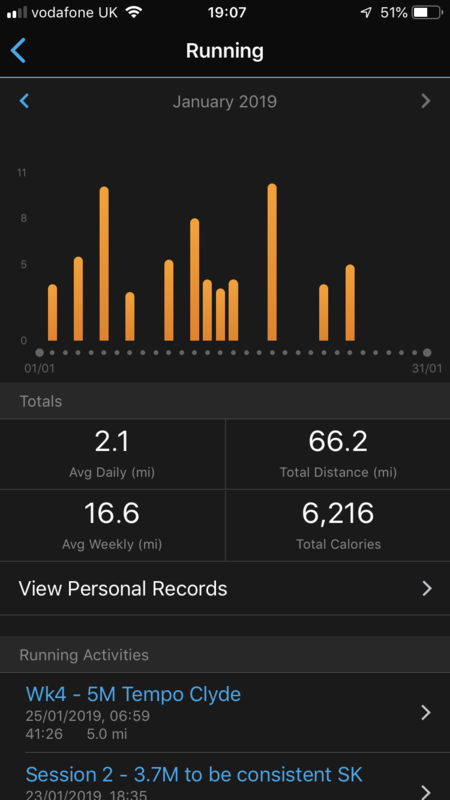 I should get 11 strength and bike sessions this month, and maybe 15 runs covering 80 miles all going well. 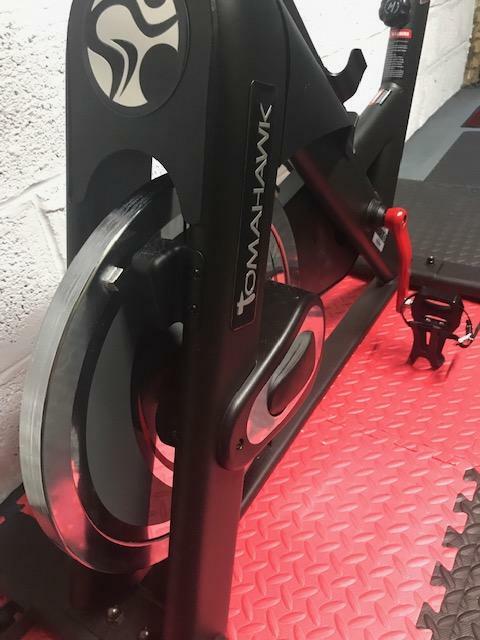 In February I’m going to continue with the bike tabatas plus strength, aiming to lift more weight. And of course, I’ll keep my running ticking over. (I have two half marathon races to train for in March! – Inverness and Alloa). Wish me luck.